The March 2015 Issue of Cha is HERE. The delayed March 2015 Issue of Cha is here. We would like to thank guest editors Dorothy Chan (poetry) and David Raphael Israel (prose) for reading the submissions with us and helping us put together the new edition. We would also like to thank Eddie Tay for the fine selection of book reviews and Vinita Agrawal for reading the contest poems and writing a commentary. The issue includes an editorial titled “A Wintry Hypothesis” by Tammy Ho Lai-Ming. Our next issue, Issue 28, will be published in June 2015. We are currently accepting submissions for Issue 29, scheduled for September 2015. If you are interested in having your work considered for inclusion in Cha, please read our submission guidelines carefully. Click HERE to read the March 2014 issue of Cha. The belated Sixth Anniversary Issue of Cha (March 2014) is here. We would like to thank guest editors Arthur Leung (poetry) and Royston Tester (prose) for reading the submissions with us and helping us put together a great edition. We would also like to thank Eddie Tay for another fine selection of book reviews and Daryl Yam for reading the contest poems and writing a commentary on why we chose the poems. The issue includes an editorial by Tammy Ho Lai-Ming titled “Meetings with Remarkable Men and Women”. Our next issue is due out in late June 2014. We are currently accepting submissions for the September 2014 issue. If you are interested in having your work considered for inclusion in Cha, please read our submission guidelines carefully. All winning poems (including the highly recommended ones) will receive first publication in a special section in the Seventh Anniversary Issue of Cha, due out in November/December 2014. 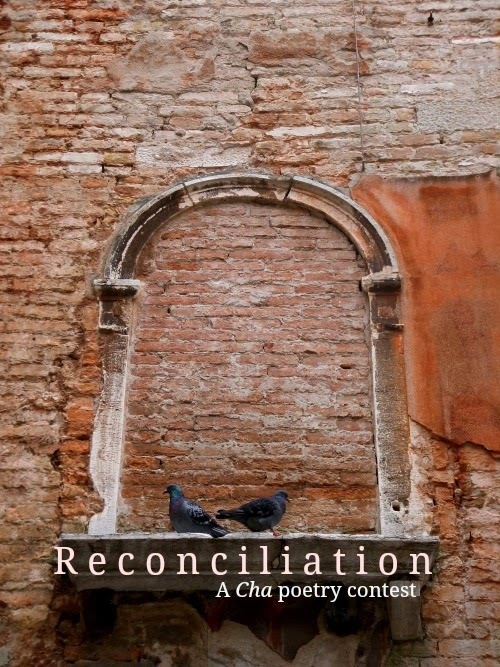 Submissions should be sent to t@asiancha.com with the subject line “Reconciliation”. Below is the shortlist for Cha‘s “Misinterpretation” Flash Fiction Contest. The three winning stories will be announced presently and published in the Fifth Anniversary Issue of Cha. 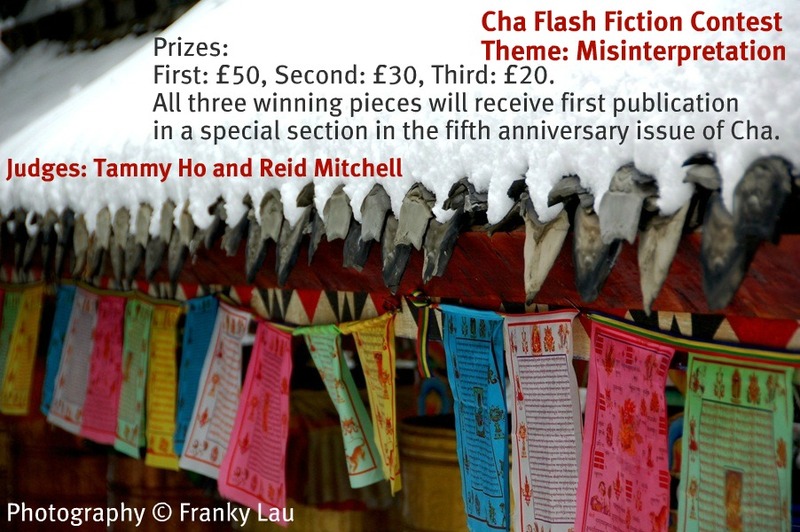 -All three winning pieces will receive first publication in a special section in the fifth anniversary issue of Cha, due out in December 2012. The prizes were generously donated by a reader in San Jose, USA. W.F. Lantry’s short story “The Window of Mėrtola” (pp. 22-23) is now published in “The Hopeless Romantic” issue of River Poets Journal. A PDF of the issue is available here. See Rumjhum Biswas’s Cha profile. 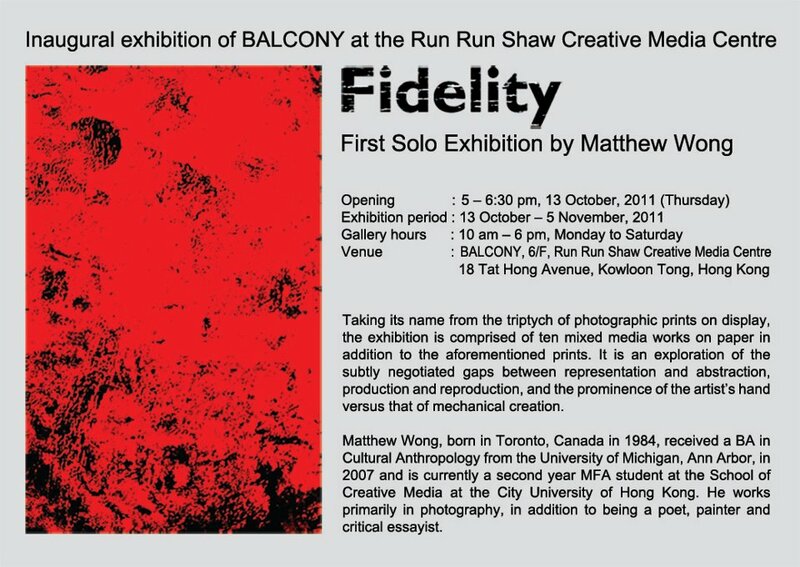 Matthew Wong’s photography sequence will be featured in the fourth anniversary issue of Cha, due out in November 2011. Looks like our internet service provider has been hacked and so our website is down. Hopefully they will be able to resolve the problem soon. We don’t want to give the hacker too much attention, but at least we can say he’s an Asian. W.F. Lantry’s short story “Saaki” is now published in the fifth issue of Spilling Ink. Read it here. W.F. Lantry’s poetry was published in Issue #12 of Cha.